Sometimes, amid the rush to get the trailer hooked up and hit the road, I forget how lucky we are to be able to take off and enjoy the great outdoors and the company of family and friends. I spent a few minutes today reflecting on our good fortune. I'm thankful my wife is willing to go camping with me, and that she inspired the search for our little Shasta camper. I'm thankful that my youngest son has been willing to sleep in the "loft" these past few years, with only a minor complaint now and then. What a trooper! I'm thankful that my oldest is the greatest high-design campfire builder in the Northeast. His fires are works of art -- and hot, too! I'm thankful that God invented all sorts of wonderful trees, so that our campfires might burn with a myriad of delightful colors and scents. I like cherry best. I'm thankful that we have friends who like camping just as much as we do. I'm thankful that we can still afford the gas to haul our trailer to the campground, even at $3 per gallon. Good thing there are nice camping resorts close to home. I'm thankful that some campgrounds have Wi-Fi -- and that some don't. I'm grateful to whomever invented the roll-out awning. Shade and shelter in two minutes -- what a concept. And finally, I'm thankful to all the wonderful people who spend their summers running campgrounds -- so we have really nice places to go, with clean restrooms and cool game rooms and mini-golf and stuff. 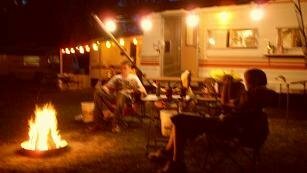 Happy Thanksgiving to all our camping friends and campground hosts. Thank you all! What have I forgotten? I'd be grateful for your thoughts on Thanksgiving and camping. Anybody having turkey dinner at the table in a motorhome this year? 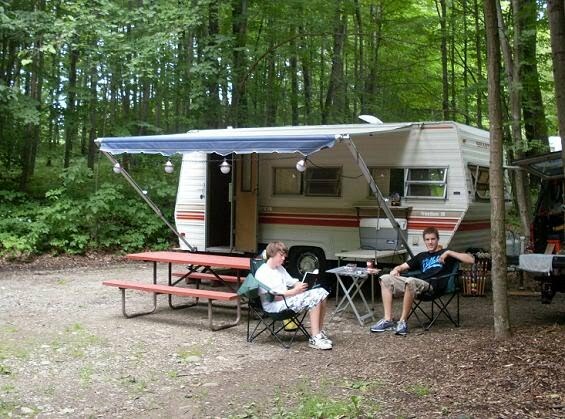 Which is better camping: Tents or RV's? There are two distinct worlds of camping: tents and RV's. Each is as different from the other as Democrat and Republican. Emotions run strong in both camps, and proponents of one often disdain supporters of the other. "That's not camping!" the tenters say to the lazy, pampered residents of recreational vehicles. "But when it rains it pours," responds the RV lovers. I've done both, and I'll take a roof over my head every time. Purists will tell you it isn't camping if you aren't roughing it. Their ideal comes straight from a Coors Lite commercial: pure mountain stream, isolation, Jeep Wrangler in a clearing with a breeze wafting through the towering pines, and fresh-caught trout frying on a white-gas grill. Just you, your sweetheart, a playful Golden Retriever, and a couple thousand dollars worth of fancy gear from Adirondack Outfitters immersed in the pristine beauty of Nature, capital N.
I've lived in that picture, and even felt the condescending distaste for families who claimed they were camping in their luxury Winnebago's. I'm older now, a bit more tolerant, and have learned the wisdom of keeping my wife and children happy during vacations. By the time we'd bought a cavernous tent, screen house, stand-up grill, folding tables and a fleet of camp chairs I realized that we were no longer "roughing it" at all, merely postponing the inevitable. We bought a twenty-foot trailer the next summer. We travel and camp in relative comfort now, and spend far less time worrying about the weather forecast. We can decide to leave on a few hours' notice, and don't have to venture into the mountains or find a suitable meadow by a babbling brook to achieve vacation success. And we don't have to pee in the bushes anymore. I love having a bathroom! My wife loves it more. She never accepted the concept of visiting a thicket to attend the call of Nature. I have to admit that stumbling about in the darkness with a feeble flashlight, searching for a proper place to relieve myself has long since lost its original charm. We brush our teeth in a sink now, and use real toilet paper. We can even take a shower in the tiny stall if we want to. Running water is such a fine amenity! Power was always a problem when we were tenting... keep reading. Reprinted from an earlier column. All rights reserved. Would you rather camp in a tent in the wilderness, or in an RV in a campground? Cuchara may be the epitome of Colorado. A small town tucked away in the shadow of the Sangre de Cristo mountains, it features spectacular mountain views, the San Isabel National Forest, and the Cuchara River, which cuts right through town. For those who want to experience nature at its finest, there is plenty to do. Here are some of the top sights in and around Cuchara, as well as places to camp and stay. Devil's Stairsteps: The Devil's Stairsteps are an amazing rock formation, a series of over 400 dikes that radiate out from the Western Spanish Peak and continue either above or below ground for as much as 25 miles. Monument Lake: Nestled high amongst the pines, Monument Lake is a gorgeous high altitude lake. The "monument" is a rock formation in the center of the lake that rises 15 feet above water and is said to represent two Indian chiefs. 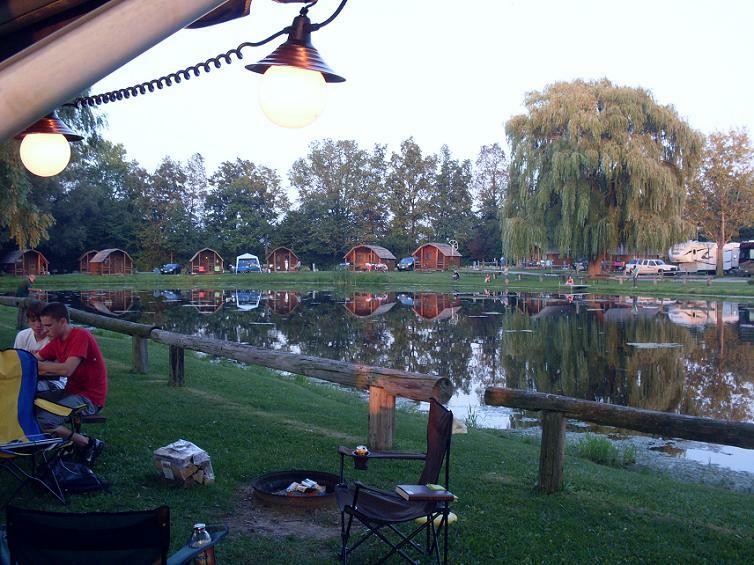 Year-round fishing is offered, as are numerous camping and RV sites around the lake. The Dakota Wall: The Dakota Wall is a giant formation of Dakota sandstone that runs all across the Front Range of the Rocky Mountains. The Wall first broke and pushed upwards 65 million years ago, and though much of it has eroded or fallen overtime, a significant chunk of the Dakota Wall remains today. Profile Rock: Part of The Long Wall, visitors can let their imaginations run wild at Profile Rock. Some see the outlines of George Washington and Thomas Jefferson, others say they see Washington's wife Martha. Still others have claimed to see a train on a trestle, a rearing horse (or deer), or a Native American. Yellow Pine Ranch & Livery: Since 1927, guests have enjoyed stays at Yellow Pine Ranch's log cabins. Summer travelers can enjoy horseback rides at the ranch, while year-round Yellow Pine offers breath-taking views of rivers and streams. No televisions or telephones are in the cabins for a true nature experience. Circle the Wagons RV Park: For those who need more amenities, Circle the Wagons has space for RVs of all sizes, including big rigs. Surrounded by beautiful scenery, the park also has a putting green, free Wi-Fi, a club house, game room, and free movie and book libraries. But with all there is to do around Cuchara, you should never be bored. My wife and I flew to Denver in the fall of '04, for our delayed honeymoon. We stayed in the hotel adjacent to the Denver Broncos' stadium. Since we only had a long weekend, we didn't get to see much beyond the casinos in the mountains. We spent most of our time downtown, enjoying spectacular weather, great food, and a slew of delightful stores. When we do finally return to Colorado, we're hoping to venture far from the city to see ghost-towns, ranches, mountain parks, and more. 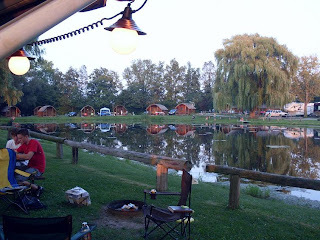 It's all much too far from here for us to drag our Shasta camper, so we'll look for a place like the Yellow Pine Ranch. If you've found a great destination for camping or hiking and would like to share, you can reach me via Comments or by using the link at the top of this page.